I was "blessed" four times in the last two days, the word uttered as a pray, the stranger's hand upon my shoulder. Being blessed is something I'm familiar with for two reasons: first, I feel blessed in my life; second, I use a wheelchair, and thus I'm obviously disabled, and there are people among the religious who feel that God acts in the material word. I suppose this is something controversial to discuss in an open forum. First, I would wager, on no basis whatsoever except intuition, that most of my internet friends are either agnostic or athiest; second, most of my internet friends in the disability rights movement take umbrage at being "blessed." Those in the disability activism moverment each have their own reasons, obviously, but I think I can say that the general idea of bringing the need of blessing into human interaction is that if a person (non-disabled) bless another person (disabled), the person with the disability is seen as less worthy, as needy. It is the "charity model" of disability illustrated in a touch. There's a measure of reality in that, but it also presumes that there's solidity of purpose when one person acts to bless and another person receives the blessing. Maybe the first person fully respects the other. Maybe the second (disabled) person feels comforted by the blessing. Maybe it's not about politics or sociology but about a recognition of the universality of human pain, human need. 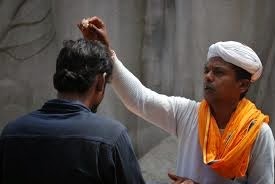 I know how I feel: I believe the person offering the blessing is reinforcing his or her own faith. I believe that person sees me as a rolling Biblical verse that references the power of God. I told my wife of this opinion after the exit queue in the theater where I was touched three times. She disagreed, but I don't think she fully understood what I was attempting to say. Or perhaps, I agree with her sentiment that people are acting in good will. Who knows what's in another's heart? If there's ugly pity in the heart of the person who offers the blessing, I will do nothing to change their perception of me if I strike out in anger. I will simply confirm their idea that I am in need. And so I allowed the touches, and accepted the offered blessings in silence, and let the pilgrims move on with their lives, feeling better, or more satisfied, or fulfilled in their faith while I rolled on, with the same ever-slippery grip on infinity.